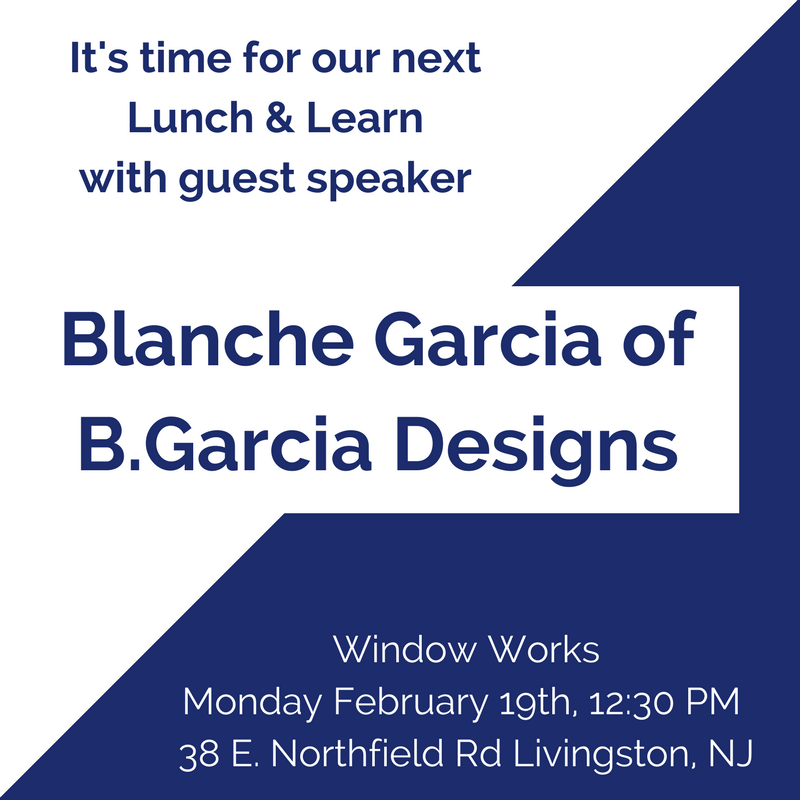 Following her wildly popular appearance on A Well-Designed Business Podcast, Blanche Garcia of B. Garcia Designs comes to Window Works to talk with us about running a successful interior design business. If you heard her on the podcast then you know she is a focused, driven, lady boss! Join us on the 19th and find out how she gets it all done. RSVP early, this FREE event will be well attended! Click Below to Register for this Event. Blanche is a certified Interior Designer with over 22 years of experience in residential, staging, and commercial design. She is the owner of B. Garcia Designs based in Montclair, NJ. Blanche is a “Green Design” LEED Accredited Professional through the United States Green Building Commission. Blanche is also a member of ASID and a “WELL AP” design professional, which utilizes healthy concepts to promote human health and wellness within the built environment. Blanche was the principal designer in Travel Channel’s Hotel Impossible for five seasons, where she helped tackle the job of revamping hotels along with host, Anthony Melchiorri. Her newly authored book, Empowered Design: A Design Plan for Living, is inspiring people around the world.